It was the lack of large lecture halls that brought alumna Kelly (Stone) Costa to the Biology program at Castleton University. Costa graduated from Castleton in 2011 and now lives in Whitinsville, Massachusetts with her husband, Josh Costa, who also graduated from Castleton. 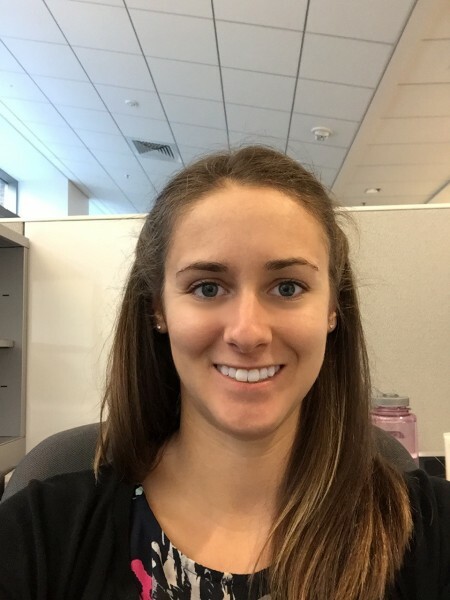 Kelly currently works for Bristol-Myers Squibb as an associate scientist in process development analytics, where she performs analytical testing and development of early stage Immuno-oncology therapies. The Maine native was originally attracted to Castleton because of its scenic views and home-town feel. The ability to ski the surrounding mountains and hike through Vermont’s natural landscape kept Costa busy and happy throughout her time on campus. She believes that the faculty and staff made Castleton unique in comparison to other colleges, as many co-workers have mentioned their 100-student lecture halls at larger universities and never being able to schedule times with their professors. “To be able to sit down in a classroom with the 11 other students studying organic chemistry and discussing the task as hand rather than sitting through a lecture and trying to figure out what the professor was talking about later was huge,” she said. Costa thanks Barbara Kimmel for much of her success in the pharmaceutical industry. To all current and future Spartans, Costa emphasizes getting out and experiencing all that Castleton has to offer. “Meet with your professors ask questions. Go to all the sports games, plays, and concerts. You will find that every part of your time at Castleton shapes who you are going to be in the future so go out and discover what it has to offer,” she said.